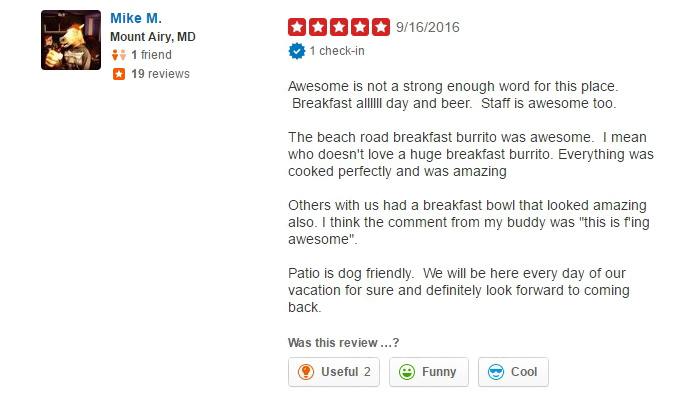 Since breakfast is a meal that we like to eat all day, we keep our grill open all day for you to get one of our customer favorites', our breakfast burritos. Don't forget about our espresso drinks too. If you need a good lunch spot with a juicy burger then indulge your inner foodie and build your own! Our freshly sliced Boar's Head Deli meats makes our deli the perfect spot to customize your deli sub or call ahead to order a sub platter to take back to your home or office. Dont want to cook tonight and dont want to wait for Prepared Meals to go.. The bistro is all about quick grab and go meals, but our custom catering and personal chef menus are available for gatherings of any size or any desired menu. We have a wedding catering menu but we love the challenge of customizing the perfect wedding menu to match the bride and groom's likes. Every year the Outer Banks' continues to grow as a popular wedding destination for many and with that comes many different palates --- we try to customize each catered event to match your palate and to ensure that the special allergies in your group are handled properly. Our custom catering services are offered from Carova to Hatteras Village and our ability to serve any number of guests makes Ten O Six's catering the perfect choice for your next Outer Banks' event.